There has been a big chatter about the next generation of EMC machines. After the initial release of DMX-3â€™s in 2005 and then the DMX-4â€™s in 2007, next generation DMX is almost due now. Here is my wish list or expectations on the new DMX Platform. The mainstream media is still digesting the Oscar awards, but we in storage had our own announcement this week: TechTarget’s (now non-PDF?) Storage magazine announced their Storage Products of the Year award for 2008. Without further ado, the awards and my reaction! EMC today announced its next generation Celerra NAS. EMC is pushing the technology towards unified storage, deduplication and virtual provisioning giving away some bells and whistles at no cost. 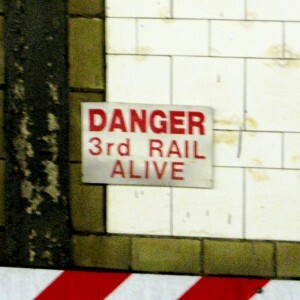 The third rail of enterprise IT is the shockingly opaque and flexible pricing schemes applied to hardware, software, and services. How much does a high-end switch or storage array cost? Are you getting ripped off on your maintenance contracts? Which bundled software modules are required and which are pure profit? You’ll get no help in answering these questions from mainstream sources like technical media, trade shows, or corporate blogs. HP Storage Products traditionally have support for RAID 0, RAID 1, RAID 1+0, RAID 5 and now RAID-6 ADG. Continuing the quest on RAID 6, with my previous post related to HDSâ€™s RAID 6, here is a post about NetAppâ€™s RAID-DP (Double Parity – Enhanced RAID 6). Hitachi (HDS) has been one of the pioneers in implementing RAID 6 in their storage products. This technology briefing covers HDS’ implementation of RAID 6 and compares it to their RAID 5 implementation.